From The Voice of the Martyrs comes the sequel to God with Us: The Messengers—The Birth of the Church. Having risen from the dead, Jesus Christ has appeared to His disciples and instructed them saying, “Remain in Jerusalem until you are filled with power from Heaven!” Waiting in prayer as Jesus has commanded them, the time comes when the Holy Spirit is poured out upon them with great power and wonder! 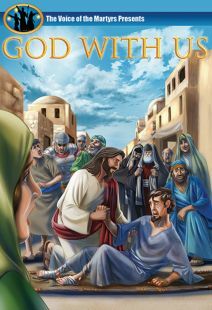 Based on the Book of the Acts of the Apostles Chapters 1-9. 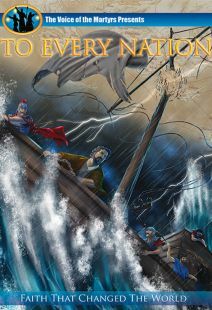 People of all ages will be inspired by this powerful and moving depiction of the first Christians. Recommended for ages 7 and up. To modern mainstream Christians, the early church would be almost unrecognizable, as followers were considered outlaws—persecuted, jailed, and sometimes killed as maryrs, while continuing to worship Jesus. 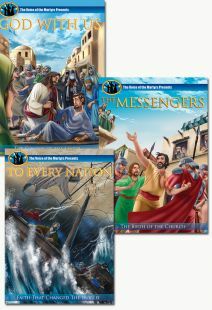 Part of the animated The Voice of the Martyrs series, this episode focuses on the period after Jesus's Resurrection and Ascension, as Christians began to organize and the faith took an uncertain but steady hold in Jerusalem and elsewhere. Before leaving, Jesus promised his followers that the Holy Spirit would soon visit the faithful and ignite their devotion and praise, inspiring believers to speak in tongues (a phenomenon in which a person spontaneously talks in a previously unknown language) during prayer meetings and spread the message to the people in the street. But most of the stories here revolve around officials' efforts to stamp out the church and its members, told through the memories of the apostle James as an old man in captivity. James shares stories about his faith, actions, and experiences with his increasingly sympathetic captors. 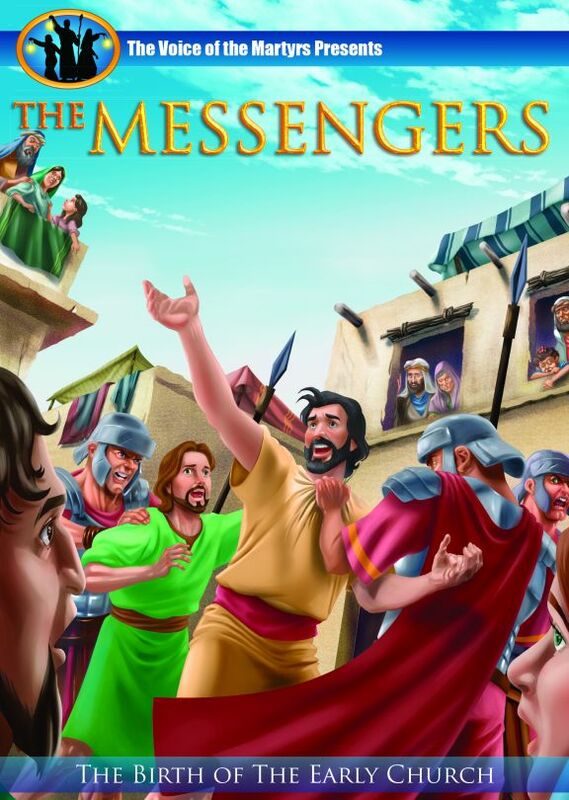 Through this narrative lens, the theme of how faith helped James and others endure persecution is powerfully demonstrated without ever becoming too heavy-handed for the target audience of younger viewers. Highly recommended.